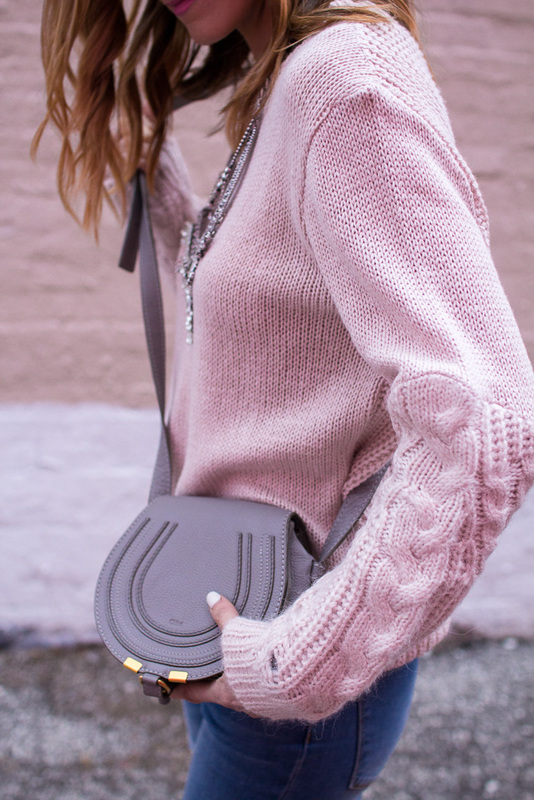 As you all may know, I am sweater obsessed, especially pale pink! So to change things up, adding a bib statement necklace can really glam things. 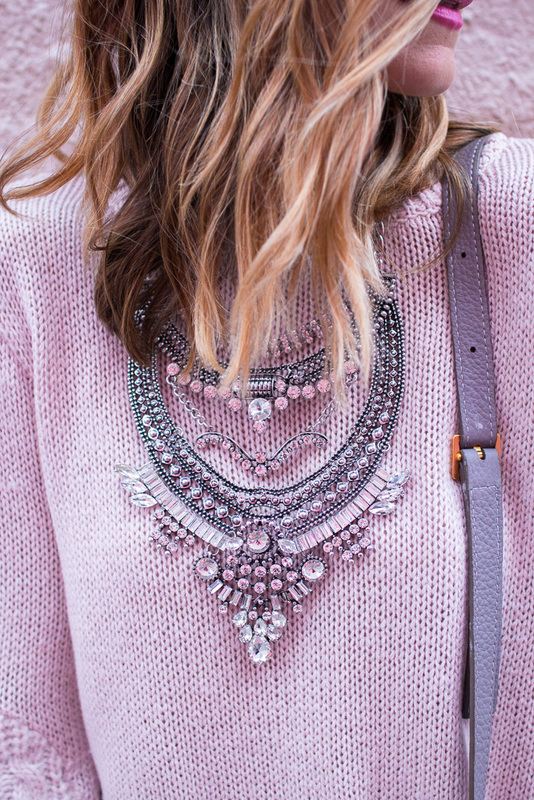 I love this bib statement necklace. It’s so pretty and great quality and at a great price. I wore it the other day with a white tee and jeans. Loved the look. Sweater-fits true to size wearing size small. Pumps -fit true to size. Hi, love the statement necklace! Now that's a good shade of pink. I usually am not a fan of the cloyingly bright varieties usually found on most pieces. I really like yours though!